Woo! Some nail art! I recently picked up this polish from a friend's blog sale. Femme Fatale is an Australian indie that was never really on my radar. Until now! Plus, I got my new Nail Vinyls in the mail today. I decided to try them out while I was watching Twin Peaks. Fitting, right? For more information about this look, check out the pictures under the cut. I had to take lots of pictures of this manicure. How could I not? Fatal Attraction applied beautifully. At first, I thought it would need an opaque base, but it built up easily. It had a great formula although it took a while to dry. It definitely needs top coat. One coat of Glossy Glam was perfect. 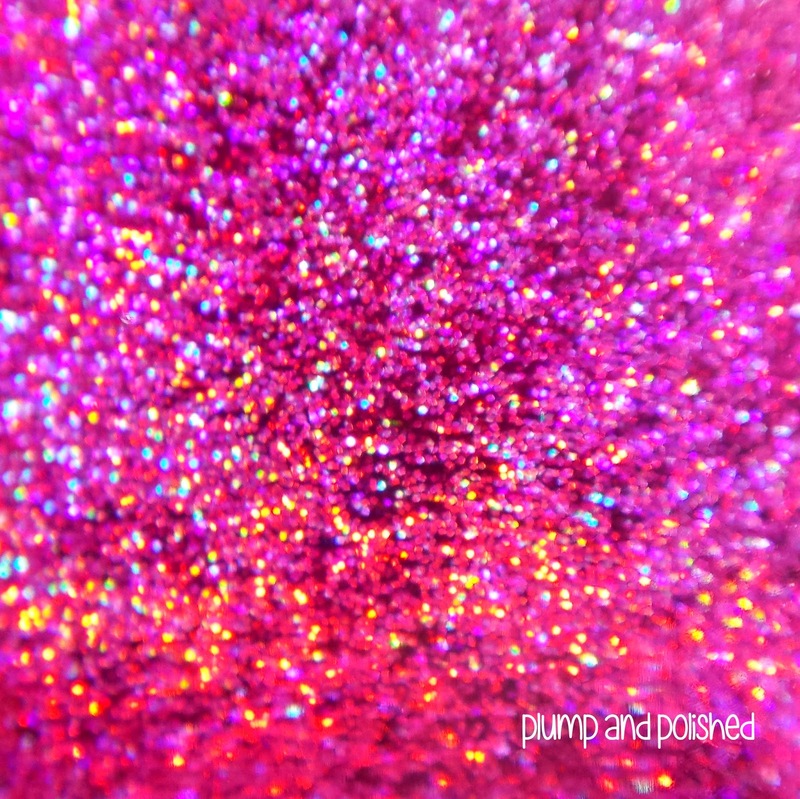 This polish sparkles like crazy! This is my perfect shade of pink. It's leans very blue and almost looks a bit like purple. I'm a sucker for berry shades and this fits right in. 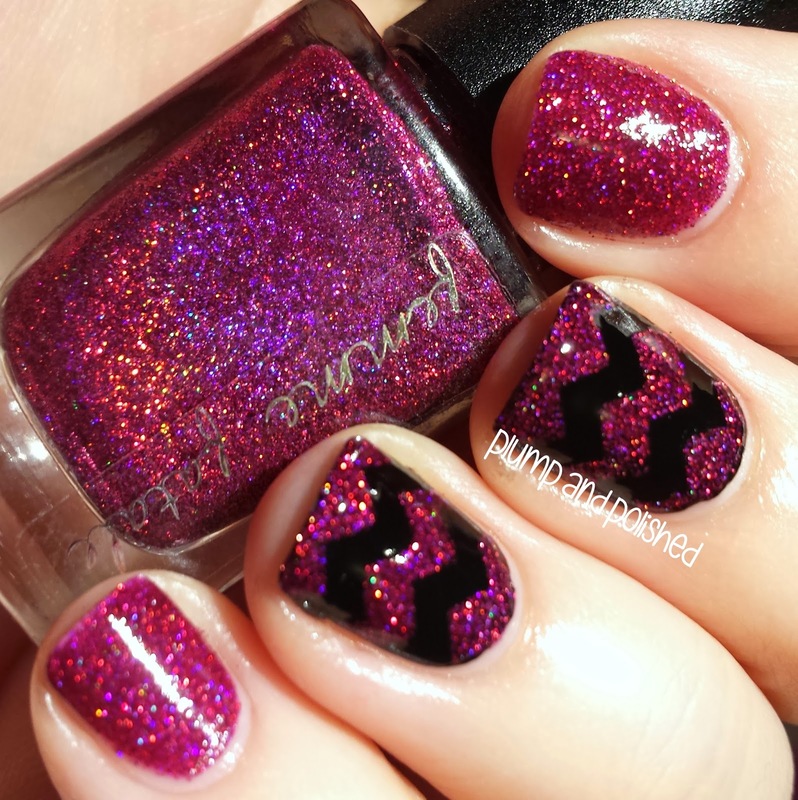 Have you heard of Nail Vinyls yet? You can find them on Store Envy, but it looks like they're currently sold out. Keep checking back! I bought mine last week after seeing them on Instagram quite a bit. My friend Alyson posted a manicure with them and I knew I needed them. I took a few pictures with my desk lamp to show off a Fatal Attraction. It's beyond gorgeous and might be my new favorite polish. It'll be going on my toes soon! What do you think of this polish? 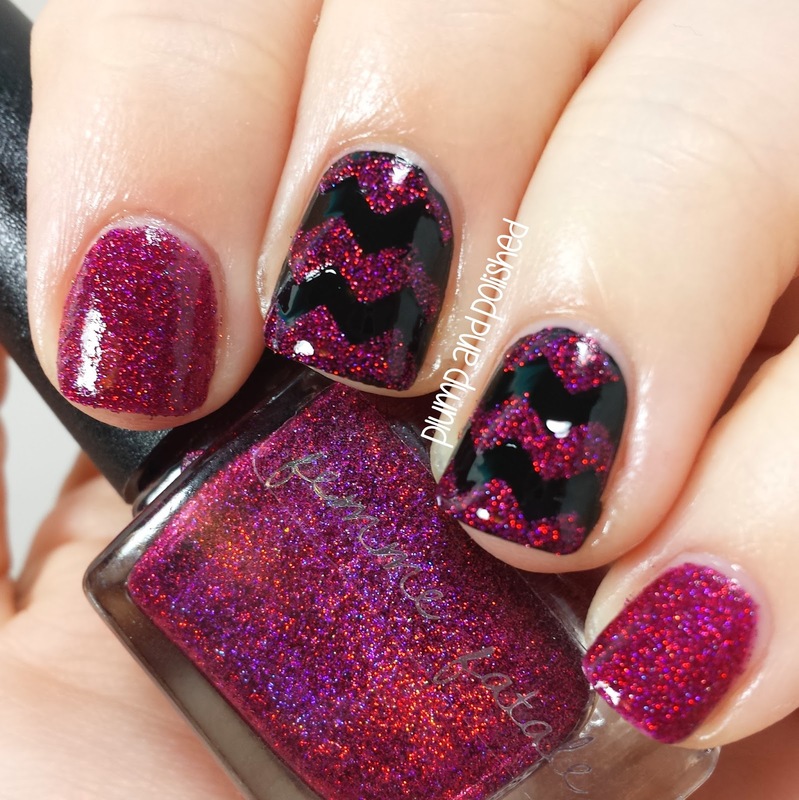 Are you loving the chevrons? I can't wait to get the rest of the Nail Vinyls designs. They're perfect for quick nail art and I'll be able to use them for so many manicures. What's the latest nail art fad you've heard of? Give me something new to try! 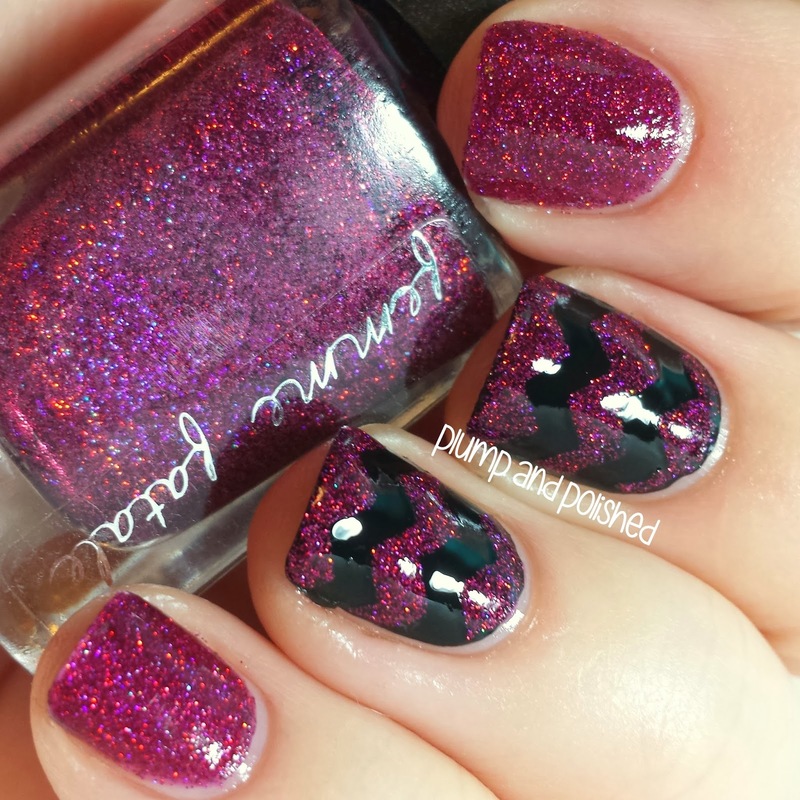 That's such a beautiful glitter! 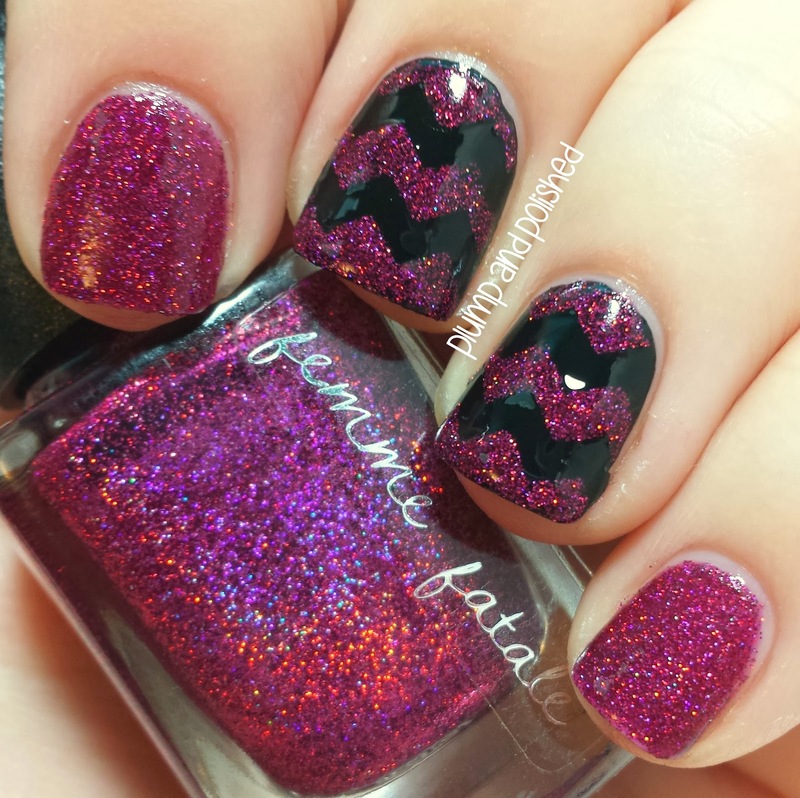 Love the chevron design! I did pretty much nothing but stare at my nails today. haha! Those macro shots are drool worthy! 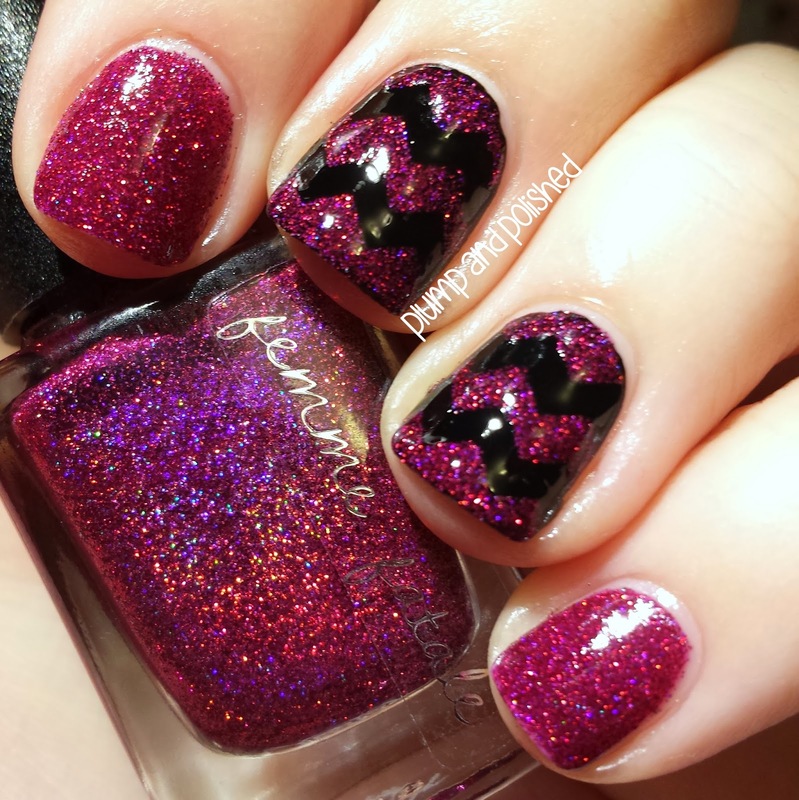 Gorgeous mani. I need some nail vinyls! You do! They're so so easy to use.